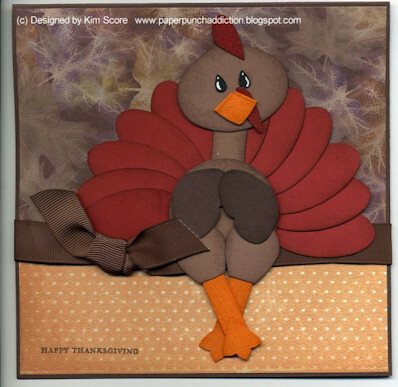 Paper Punch Addiction: Happy Thanksgiving Day! HAPPY THANKSGIVING KIM! I love this little chappy. I wish you a very Happy Thanksgiving!!! And also to thank you so much for ALL that you for us. God Bless you! Thanks for the link to the tutorial, Kim! I had never seen this turkey before and he's so cute! Happy Thanksgiving! Hugs!! I hadn't seen this turkey before. Thanks and Happy Thanksgiving! Happy Turkey Day to you & yours!